Probating an estate can be a long, arduous task when it's not in the right hands. Understand the duties of an executor or executrix and what role they will take throughout the process. 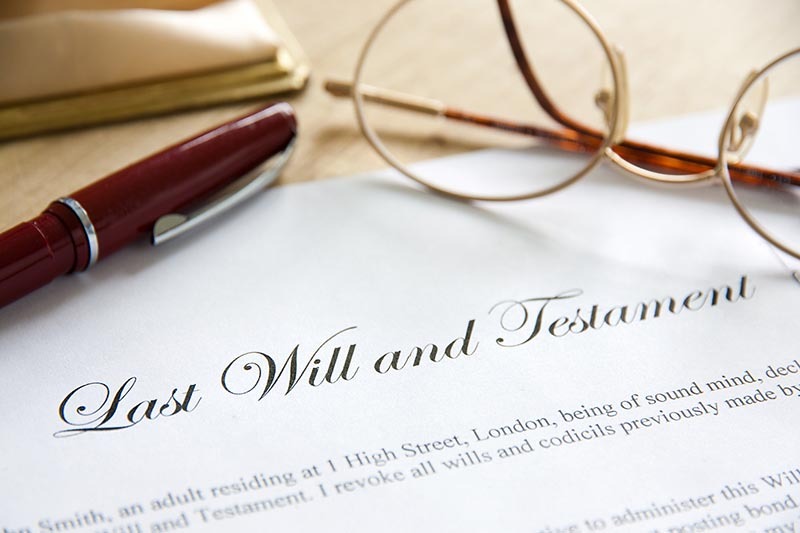 Testate is when someone dies and there is a Last Will and Testament. A probate lawyer, working with the Executor or Executrix (also called the Personal Representative) will make an application for Letters of Probate to the Probate (Surrogate Court) under the Wills and Succession Act. The ultimate goal is to get an Order of Probate which will give a final determination that the Last Will and Testament is valid and most current will; it appoints the Executor/ Executrix (Personal Representative); and, it absolves them from liability once they have discharged their duties in liquidating and paying out the Estate to Creditors and Beneficiaries. Intestate is when you die without a will and you leave a will behind. Instead of Letters of Probate, the Estate Lawyers will make an application with the Surrogate Court for Letters of Administration than name a Personal Representative for the Estate who carries out the same duties as an Executor. There's a lot of work that goes into closing down the life of someone. Especially if they owned a lot of property, have many beneficiaries, or didn't bother to leave a will behind (Intestate). And if you don't know what you're doing, it's going to take even longer. To help you avoid costly mistakes, we're sharing with you information to make your job a little easier. Here is a guide to understanding the duties of an executor. The executor of estate is the individual usually named by the recently deceased to handle and oversee the probate process. Executrix of estate is an old-fashioned term to mean a woman is handling the probate process. Sometimes the gender-neutral term "personal representative" is used rather than executor or executrix. This term is also used in circumstances where the deceased didn't leave a will. The executor of estate is responsible for taking the will through probate, paying off all debts, gathering assets, and notifying beneficiaries of the process. Let's go through the process together. What does an executor do first? They start by locating all necessary documentation in order to ensure the process goes as quickly and smoothly as possible. Some people think that the estate attorney will have copies of this documentation at their office, but that's rarely the case. Instead, you're more likely to find all the necessary documentation somewhere in the home or in a safe deposit box of the recently deceased. You'll need to locate their Last Will and Testament, any funeral, cremation, burial or memorial instructions, and/or a Revocable Living Trust. Most people store all these documents together in a safe place. Once they're found, you can give them to an estate lawyer, preferably one experienced in the area of Probate Law. You can always hire the same attorney who created the documents in the first place. You'll need to find information about the decent's assets. This includes their bank and brokerage statements, any stocks and bond certificates, life insurance policies, titles to boats and/or cars, corporate records, and any deeds. Then you'll need to gather information regarding their debts. This includes any credit card bills, utility bills, mortgages, personal loans, medical bills, and even the bill for the funeral. If it's not already available, make a list of what the deceased person owed versus what they owned. Look to see how each asset is titled. You can find a title in their individual name, as a tenant in common, in a trust, or in joint names. You'll also have to gather the prior three years of their income tax returns to save. The IRS can still perform an audit even after someone has passed away. After the executor of estate has organized all the paperwork, it's time to head to probate court. In Alberta, the proper title for probate court is the surrogate court or more properly the Surrogate Division of the Court of Queen's Bench of Alberta. If you haven't already, hire an estate attorney to act on your behalf in probate court. It's too complicated to handle on your own. The attorney will make the application with the probate court. Once there is enough information to draft the court documents required to open the probate estate, you'll be named executor of estate. You'll then be required to review and sign certain documents to open the probate estate. You'll first have to sign an Application for Probate Administration. Then you'll sign the Oath and Acceptance of Executor/Personal Representative. Once the probate estate is opened with the probate court, the Executor of estate must establish date of death values for all of the decedent's assets. The executor must also make a notification of death. Keep in mind that depending on how intricate the will was (or if there was no will found), probate court can take anywhere from a few weeks to years before any next steps can be taken. Especially if someone chooses to contest the will. As executor of estate, it's your duty to make all necessary notifications of the death. That includes any beneficiaries who aren't already aware. Sometimes, this is a formal process if the will is complicated. In other cases, it's as simple as making some phone calls and writing a few e-mails and/or letters. At this point, it makes sense to start terminating certain services that the decedent had such as their magazine subscriptions, certain utilities, and any credit cards that have no balance on them. For any creditors who are still owed a balance, you'll have to contact them to make arrangements to pay them in a timely manner. Many states also require that a newspaper notice is placed to alert any creditors you may have missed. Again, if you refuse to pay creditors in a timely manner, they can make a claim against the estate for payment. If you feel that a claim isn't valid, you can decline payment. However, in many provines, a creditor is allowed to petition the court to override the executor of estate's decision. If this happens, you're usually required to appear in court to defend your position. It's recommended that you find a way to amicably settle all debts to avoid having to head to court. Now that the probate estate is open with the probate court, it's now time to establish date of death values for all the decedent's assets. It's an important step since most states require that an inventory of the probate assets and their date of death values must be filed with probate court within 30-90 days after opening the probate estate with the court. It's now time to locate and contact all financial institutions to obtain the date of death values. You'll have to hire a professional appraiser to assess the value of any real estate and personal effects like jewelry, collectibles, artwork, and closely held businesses. Keep in mind that probate court only requires date of death values to be listed on the estate inventory. However, if any of the estate is taxable for federal and/or state death tax purposes, you'll need those death values established for their nonprobate assets as well. Non-probate assets include anything owned though joint ownership with survivorship rights such as a house with joint tenant owners or bank accounts in two or more names. Also included are retirement accounts such as R.R.S.P. 's with beneficiary, along with annuities, certain G.I.C. 's and life insurance. After the date of death values are determined for all assets, the next step is to pay their final bills and any ongoing expenses of administering the estate. One of the duties of an executor is to pay the final bills of the decedent. You'll also have to pay any ongoing expenses incurred to administer the estate. That might mean paying the appraiser, a professional organizer, the attorney, and the accountant. If you find that there isn't enough cash to pay their expenses and taxes, this is the time to evaluate whether you can sell any of their assets to raise funds for payment. It's your job as executor of estate to determine what bills were owed at the time of death. If they are legitimate, you'll have to pay the bills. If you don't, those creditors can contact the courts and sue the estate for lack of payment. Keep in mind, not all bills are final at this point. Some bills, such as certain utilities and legal fees, rent or mortgage payments are ongoing until everything is finalized. After you've paid the final bills and all estate expenses are under control, you'll have to pay any income and death taxes that are owed. As Ben Franklin once wrote, "Nothing is certain except for death and taxes." Even if the person passed away early in the year, you are still responsible for paying their taxes that year. As the Personal Representative of estate, it's your responsibility to prepare and file the deceased's final federal income tax returns. You'll also have to pay their taxes in a timely manner. The estate will need to file taxes for every year the state is open, when closing the Estate, the Personal Representative will need to apply for a Final tax Return obtain a Tax Clearance Certificate from the C.R.A. And if the estate earns any income while you're in the process of administering everything, as the executor of estate, it's your responsibility to prepare and file all required federal estate income tax returns (IRS Form 1041) along with any required state estate income tax returns. You'll have to prepare and file IRS Form 706 if the estate is taxable for federal and/or state estate tax purposes. And you may also have to file and prepare an inheritance return. In Alberta, there are no Estate Taxes payable. Once you've handled their tax issues, your next step is to make distributions to the beneficiaries. One of the duties of an executor is to ensure all beneficiaries receive their assets. By this point, you may have some beneficiaries wondering why everything is taking so long. But before the beneficiaries get paid, everyone else gets paid first. Meaning, all taxes and any expenses related to the estate get first priority. The beneficiaries only are entitled to whatever is leftover. Be aware that if you choose to pay beneficiaries too early and unexpected expenses arise after the distribution, it's your own personal responsibility to pay those expenses out of your own pocket. For any estates where the administration is expected to take longer than a year, it's recommended the executor of estate work closely with the estate attorney and the accountant to set aside enough assets for ongoing estate expenses. That way, you can also make the distribution to the beneficiaries in multiple stages without having to dig into your own pocket. Now that the question, what does an executor do has been answered, you're probably realizing how much time and effort are involved in this process. You might even feel that you should be paid for your efforts. Luckily, you will be. But how much you are paid depends on which state the decedent passed and where the will is probated. Often, there is a provision included in the will to ensure the executrix of estate is paid. Unless the provision isn't too over-the-top, the courts are happy to honor the provision (usually 1-4% of the gross value of the Estate for every year that it is open). Many executors choose to waive payment if they're closely related to the deceased and are already a beneficiary in the will. This is especially true in cases where the will isn't complicated. For those who do accept payment as the executrix of the estate, your payment comes out of the estate and decreases the amount left over for the beneficiaries. Keep in mind, if you do accept payment, it is taxable whereas cash inheritances typically are not taxable. Most executors realize they stand to inherit more money that's not taxable if they forego payment. As you can see, probating an estate isn't easy. The duties of an executor are long, complicated, and stressful. Many people feel they can save more money by not working with Probate Lawyers. Others feel lawyers are more interested in making money than making a difference. Which is why it's so important to hire the right law firm. We pride ourselves on our relationships with our clients. Keep reading to learn how our clients feel about our services. Over the last 60+ years, our firms has probated 1000s of Estates from as low as $25,000.00 to as much as several million dollars. We do offer a free initial consult to review your paperwork and to point you in the right direction. We are here to help people just like you. This entry was posted in duties of an executor by verhaeghelaw. Bookmark the permalink.